1981 Five friends travel to a cabin in the woods, where they unknowingly release flesh-possessing demons. 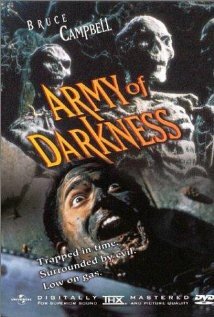 1987 The lone survivor of an onslaught of flesh-possessing spirits holds up in a cabin with a group of strangers while the demons continue their attack. These have been some of my favorite movies, you know, the ones that can be watched over and over without getting boring. So when the Evil Dead Remake (2013) came out I was really not sure if I wanted to see it. Honestly I really didn’t want to see it, I mean why mess with a good thing and the first three are really good (add in the bit of corniness). My husband wanted to go see it only because it was produced by Bruce Campbell himself and convinced me to go with him. 2013 Five friends head to a remote cabin, where the discovery of a Book of the Dead leads them to unwittingly summon up demons living in the nearby woods. The evil presence possesses them until only one is left to fight for survival. I was hoping there would be a touch of funny in the Evil Dead Remake, but it was filmed the way I expected it to be filmed in this day and age–gore. 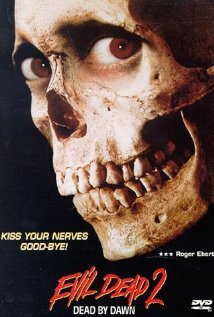 The story-line did follow true to the first Evil Dead (1981) with a few extras added in which was fine except for the book. In my opinion there was too much added into the book. Some of the scenes I think could of been avoided, like the girl cutting off her face with a knife, but I’m not into that much gore. Some is fine if there is a great story line. 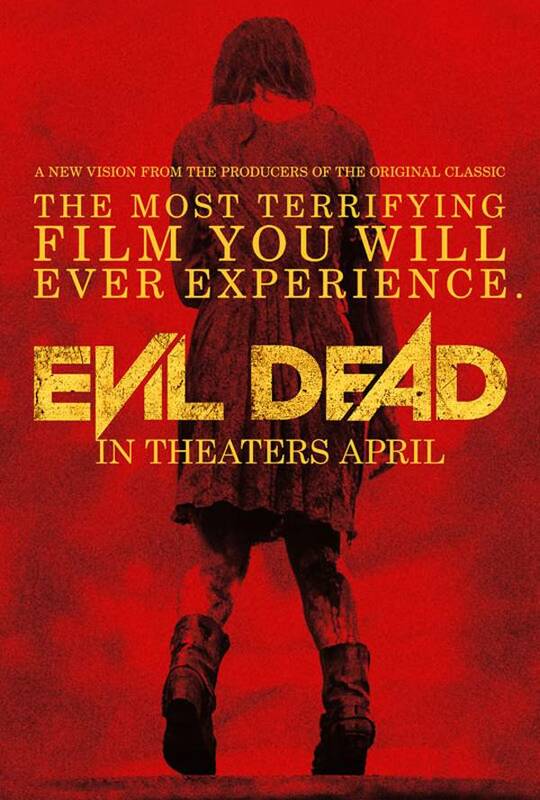 I will still give the Evil Dead (2013) 4 stars for sticking with the story line. I do wonder if the first 3 movies were meant to be a little scarier and gorier (is that a word? Gorier?) than they actually were, but the first three movies were great. WHY MESS WITH A GOOD THING!!! In my opinion Hollywood needs some new ideas, some of these remakes SHOULD NOT be remade! Hollywood needs to read more books-there are a ton of great ones that would make great movies. I have read some great scary books by indie authors that would probably bring a pretty penny into the box offices if filmed right. 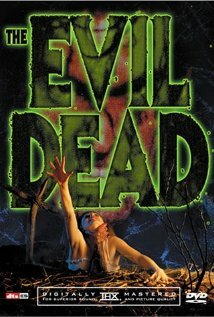 Don’t get me wrong the new Evil Dead was good, not great, but I am seeing more remakes in the theaters that I wouldn’t go see. Why mess with some of the originals?